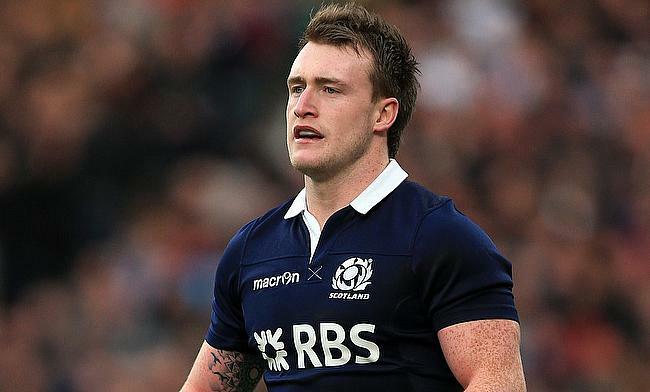 Glasgow Warriors fullback Stuart Hogg has been named in the starting line-up for Scotland ahead of their upcoming autumn international clash against Fiji on Saturday. Hogg has recovered from an ankle injury that he sustained in September and will replace Blair Kinghorn from the line-up that suffered a 21-10 defeat against Wales last weekend. Apart from Hogg, Racing 92's Finn Russell and Clermont's Greig Laidlaw also return to the starting XV after missing the game against Warren Gatland's side as the Test was outside the international window. This will also be Laidlaw's first game for the Dark Blues since the Six Nations earlier this year while Pete Horne gets a promotion from the bench shifting Alex Dunbar to 13. Russell will take over the fly-half duty from Adam Hastings while Ali Price drops out of the matchday 23 squad to accommodate Laidlaw. Exeter's Sam Skinner is set to make his debut while Fraser Brown, Grant Gilchrist and Matt Fagerson are promoted from the bench. Ryan Wilson, Jamie Ritchie, Allan Dell and Willem Nel have retained their places from the last game. “It’s a more experienced side this week in terms of time together at this level, while we’ve rewarded some of those who performed well off the bench with the chance to start," said Scotland head coach Gregor Townsend.